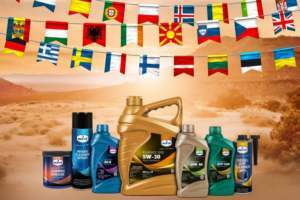 Eurol Engine Oil Treat | Eurol B.V.
Eurol Engine Oil Treat is an additive developed to provide a thicker and more tenacious oil film between moving engine parts. It aims to prevent metal-to-metal contact areas in the engine using high-tech additives which increase the oxidative stability of the engine oil, allowing the engine to run at higher temperature. This treat is formulated to make the engine oil do a better job by dramatically reducing friction, increasing power output, increasing fuel economy and reducing emissions.